Could I survive without a mobile phone call plan? I’m moving to Germany at the end of this month, and – as ever with this sort of move – I need to work out how to get the best deal on mobile phones and home internet. But before looking at the available packages from different operators, what do I actually need? I have come to the conclusion that I am now very close to not actually needing a mobile phone for calls and SMS. Of course I need a mobile (3G) data plan for using my iPhone on the go, but do I actually need to make regular calls or send SMS? There are two aspects to this: incoming and outgoing calls and SMS. For incoming it is relatively easily – SMS can be received even on data-only SIMcards. Incoming calls can be done with a Sipgate or Skype online number for Germany. If I am somewhere without wifi or 3G then I am unlikely to be needing to talk to people anyway, as being in a train is normally the only place this happens. For outgoing calls it is also fine – this can be done through Skype, Sipgate or Viber (or an equivalent) and done over wifi or 3G. Outgoing SMS can be sent from Skype or Sipgate. iMessages to friends with iPhones use the data connection anyway. All of this is especially important in Germany as I essentially need to use T-Mobile as their 3G coverage is better than any competitors, and I need access to their wifi hotspots (especially in DB trains). For a 3Gb T-Mobile data-only package it is €26.95 / month inc. hotspots, while adding a call package to it ends up at €60.45 / month! Thoughts and comments are very welcome. Am I missing a trick here? 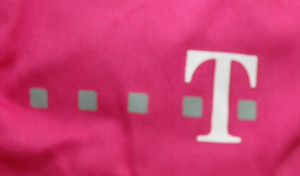 Or might an alternative to T-Mobile do just as well? Would it be more economical to use something like https://www.comviq.se/eu-eng which uses a flat fee within the entire European Union? Monthly fee 795 SEK (495 SEK if the majority of your use is in Sweden), including unlimited voice calls, SMS & MMS to EU+NO+IS (if calling from one of those countries) and 1 GB data for use within EU+NO+IS. Germany plus 300MB Data on o2 Network. 9ct landlines and 29ct mobiles anywhere in Europe (Europe, not EU, that is). I’ve had a T Mobile contract before, and if I needed the best mobile internet 3G, I’d have stayed with them. I tried all of them and neither Vodafone (huge problems with their EDGE network) or O2 (no need to talk about Eplus) came close. That applies for trains and rural areas though – in big cities, E-Plus may just beat any competitor at a given location, as can anyone else. Telekom just has the largest 3G network, probably the best 2G and offers EDGE at – as far as I can tell – all of their locations, which is quite important when in a bad reception area with UMTS coverage – like in a basement or a train. O2 feels GSM (56kbps) is enough for areas where 3G is generally available. So I suppose you T-Mobile is a must-have for you, if you want to rely completely on 3G for outgoing. Try online merchants though, and check for cashback (qipu). Worst case, score a good phone with your contract and sell it for what it’s worth. Should be able to bring down your contract by about 10€ (240€/2 years). *All* will yield some provision the the seller, with some googling you can figure out who is passing on most of it to the customer. O2 has good options and an easy way of adding more data volume to your tariff and they offer 1 month contracts, which I find the most desirable option (costs a bit more though). But inside houses it’s been a bit unreliable but nowhere near as bad as E-Plus. I couldn’t really get a stable connection with E-Plus in those old Berlin houses (Altbauwohnungen), so that’s a bit of a pain. Note: O2 customer service isn’t the best in terms of reliability and efficiency. Yet, I’d prefer them over Telekom. Vodafone customer service was very helpful on the other hand. But their plans are not cheap. In my experience in Britain, the reliability of the phone plan is important. The VOIP I use (BT Smarttalk, so I don’t have to pay out for freephone numbers) needs a reliable 0.7/0.8 MbPS for good quality calls, and definitely struggles to keep this on the move. I think the data network would have to be leaps and bounds ahead of the UK to be able to do this reliably. Also, a lot of VOIP can easily eat through data, would 3GB per month be enough? Jon, you already have a phone, right? The 60.45 include the payments on a new phone. If you use your existing one, it’s 20% cheaper, at 50.37, if you choose the “L” plan with 1GB/month included. even with the XL plan for 2 GB, you’d still be under 60.